A form of indigenous political structure flourished in the island preceding the coming of the Spaniards, wherein the natives had their non-formal form of government, an alphabet, and a system of trading with sea-borne merchants. When the Spaniards came in the 16th century, the northern portion of the province was identified as the Calamianes while its southern portion remained part of the Sultanate of Sulu. The Spaniards built Fort Santa Isabel in Taytay and designated it as capital of Calamianes in 1818. The province of Paragua was established in 1902, with Cuyo as its capital during the American colonial years. It was later changed to Palawan and its capital moved to Puerto Princesa in 1905 by virtue of RA 1363. El Nido Marine Reserve in Miniloc, occupying an area of 96,000 hectares, is a popular nature spot in the province boasting of diverse ecosystems, such as rainforests, mangroves, white sand beaches, coral reefs, limestone reefs and a variety of fishes, like the manta ray and the sea cow. Also known as dugong, the sea cow is the world's rarest marine mammal. Honda Bay, which consists of several islets with shallow reefs, bordering fabulous beaches and small resorts which have become the favorite water sports destination, is found in Sta. Lourdes Tagbanua, Puerto Princesa City. Ursula Island Game Refuge and Bird Sanctuary found in Rio Tuba Village, Bataraza is a haven for birds that rest and converge two hours before sunset after a day's flight. There’s a prison in Palawan where inmates are allowed to work in rice fields and act as tour guides without the need of walls or hundreds of prison guards. 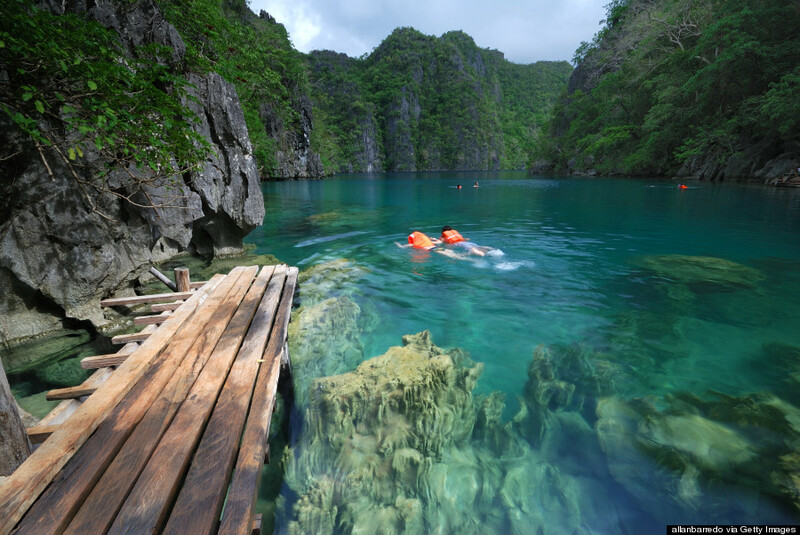 St. Paul underground river in Palawan is said to be the world's longest underground river. The navigable part of the river inside the cave of the 4000-acre stretches 5 miles in length. But this title is being claimed in Vietnam where an underground river, Son Trach River, reportedly extends 7 miles in length. Filipino explorer's claim that once fully measured, St. Paul underground river would reach 9 miles. Skunks can only be found in three countries: USA, Indonesia and Philippines where skunks are known as stink badgers. Binturong or Palawan bearcat is neither a bear nor a cat; found in the forests of Palawan, Borneo, Burma, and Vietnam. Its head and body can measure up to 96 cm, weighs 9 to 14 kg. and can live up to 20 years. The Philippine mouse deer or Pilandok (Tragulus nigricans), is known as the world's smallest hoofed mammal resides in the south of Palawan. It stands about 15.8 inches at shoulder level. In other countries, it is called chevrotain or simply mouse deer. 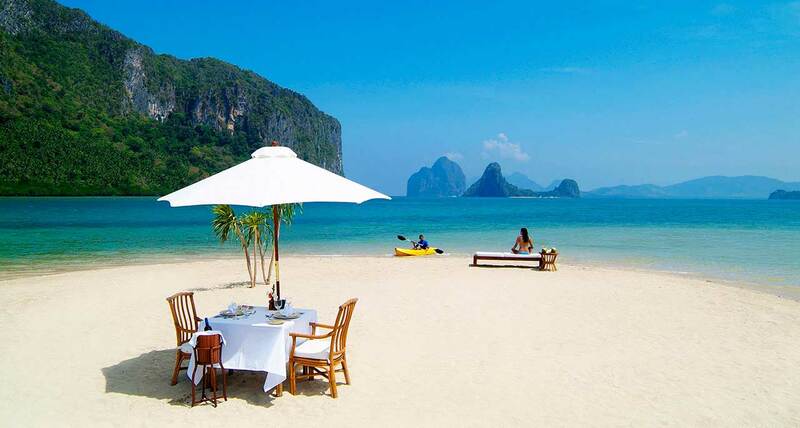 Palawan has the best Vietnamese cuisine in the Philippines. 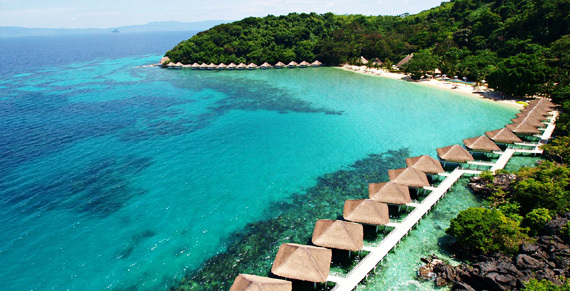 Palawan has the largest land area among the Philippine provinces.